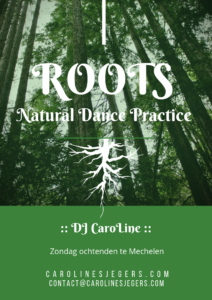 Begeleiding via muziek, dans en woord door: DJ CaroLine. > gemakkelijk bereikbaar via openbaar vervoer! A soft morning dance to wake up our bodies. To root ourselves deeply into the earth. To share with others in sheer presence. And to start our day through gratitude and ritual. > It is very easy to reach the dance floor through public transportation.